Tablets, pills, and other solid delivery forms for oral administration of antiparasitics are very much used on pets, especially on adult dogs. For cats and puppies solids forms are often formulated as granules or powders to be mixed with food or water, or liquid forms are used. For easier administration, large tablets can often be crushed and mixed with food or water. Otherwise they have to be put into the pet's mouth and ensure that the pet really swallows it. Best is to put the tablet in the back of the pet's throat, close its mouth and hold the nose up. Blowing slightly to the pet's nose may encourage swallowing. Because this is often cumbersome, many dog pills are now formulated as palatable or chewable tablets i.e. they are a mixture of active ingredient(s) with some nutrients attractive for dogs, similar to dry dog food. Their advantage is that the dog eats them spontaneously. In any case, after administration it is important to control that the pet does not vomit the tablet. Solid delivery forms are much less popular for livestock than for pets. The main reason is that the amounts to be delivered are considerably larger for livestock than for pets. As a consequence, the tablets or bolus for livestock are really big and need a special applicator gun: the whole operation is quite bothersome. In most countries injectables, drenches and pour-ons are preferred for livestock. Slow-release boluses are a particular form of solid delivery forms for livestock. In the following only the use of tablets and pills in pets is described. Most tablets contain anthelmintics, i.e. active ingredients that control parasitic worms such as roundworms and tapeworms. There are also tablets that against fleas, and a few ones are also effective against certain mites and lice species. Benzimidazoles: e.g. albendazole, febantel, fenbendazole, mebendazole, oxfendazole. Used against worms. Imidazothiazoles: e.g. levamisole. Used against worms. Insect development inhibitors: mainly lufenuron. Used against fleas. Isoquinolines: e.g. praziquantel. Used against worms. Isoxazolines: afoxolaner, fluralaner, sarolaner. Used against fleas and ticks. The newest class of insecticides introduced in 2014. Macrocyclic lactones: e.g. ivermectin, milbemycin oxime, moxidectin. Used against worms, including heartworms, and certain mites and lice. Neonicotinoids: e.g. nitenpyram. Used against fleas. Salicylanilides: e.g. niclosamide. Used against tapewworms. Spinosyns: e.g. spinosad. Used against fleas. Tetrahydropyrimidines: e.g. morantel, pyrantel, oxantel. Used against worms. Others: e.g. emodepside, nitroscanate, piperazine, etc. Used mainly against worms. Many commercial products contain mixtures of various active ingredients to cover a broader spectrum of activity. The spectrum of activity of tablets and pills depends on the active ingredients they contain and on the dose administered. It can happen that a particular pill contains an active ingredient that is theoretically effective against certain parasites, but not at the recommended dose for that particular product. Due to the large number of possible combinations it is very difficult to summarize the various options. Only against roundworms (nematicides) such as Toxocara canis, Toxocara cati, Ancylostoma spp, etc. Contain typically pyrantel, febantel, fenbendazole, oxantel, levamisole, fenbendazole, mebendazole, piperazine, etc. Against both roundworms and tapeworms. Contain praziquantel and one or more of the nematicides previously mentioned. Only against tapeworms (taenicides), e.g.Dipylidium caninum, Echinococcus granulosus, Taenia spp. Contain almost always praziquantel. Effective as heartworm (Dirofilaria immitens) preventatives, with or without efficacy against tapeworms. They always contain a macrocyclic lactone (e.g. (e.g. ivermectin, milbemycin oxime. moxidectin, etc.). They may control certain mite and lice species. Effective against fleas, with or without efficacy against ticks, worms, mites or lice. Contain afoxolaner, fluralaner, lufenuron or a spinosyn. Effective against ticks and fleas: Contain afoxolaner, fluralaner, or sarolaner. Flukes (trematodes) are seldom a problem on pets and consequently very few pet products are effective as flukicides. There are currently no tablets or pills that control pet ticks, mosquitoes or flies. 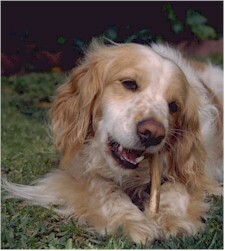 Some active ingredients for oral administration are not absorbed from the pet's intestine into the blood. This means that they act only against those worms that are in the intestine. This is the case for several benzimidazoles or tetrahydropyrimidines. Other active ingredients are vastly absorbed, i.e. they are systemic, e.g. macrocyclic lactones (ivermectin and milbemycin oxime), emodepside, lufenuron, nitenpyram, spinosyns, isoxazolines (afoxolaner, fluralaner, sarolaner). Through the blood they reach parasites anywhere in the pet's body. Resistance of parasitic worms of pets to anthelmintics is not a big issue. There are reports on resistant strains of Ancylostoma spp to pyrantel in dogs, probably with cross-resistance to levamisole. But it seems that it is not a worldwide problem. So far there are also no reports on resistance of lice and mites of pets to the parasiticides used on pets. Resistance of fleas to old veteran insecticides is very common worldwide. But there are no commercial tablets or pills against fleas with such insecticides, and there are no reports yet on resistance of fleas against lufenuron or spinosyns or isoxazolines . Consequently, if a particular tablet or pill product doesn't seem to work on your pet, resistance is very unlikely to be the reason. Most probably the product was not appropriated, or the dose was insufficient, or something went wrong during administration. Antiparasitic tablets and pills administered to the pets bear no safety risks for pet owners. Obviously they must be kept away from children, as any other medicines. However, there is no problem for children to play with pets that have been recently treated with tablets or pills. It is obvious that such veterinary medicines are not intended for and should never be use on humans!!! Second reason. Most products with macrocyclic lactones are effective against heartworm larvae in the blood. Heartworm infection (Dirofilaria spp) is a common disease in dogs in regions with hot or mild weather. The disease is called dirofilariasis. It is transmitted by mosquitoes. It is less frequent in cold regions but can occur there as well. Cats can be affected too. Heartworm preventatives hinder larvae (microfilariae) in the pet's blood to complete development to adult worms. But they can also kill some adult worms, if not all. Now, dead adult worms or their rests in the heart or in the pulmonary artery can obstruct the pulmonary blood vessels with the consequent damage to the lungs, which can be fatal for the pet. This means that any dog that is treated with a macrocyclic lactone should be checked for already existing heartworm infection. If the check is positive, the heartworm infection has to be treated with other specific heartworm products under strict supervision of a veterinary doctor.